ENJOY BEAUTIFUL SUNSETS ON LAKE GREENWOOD. 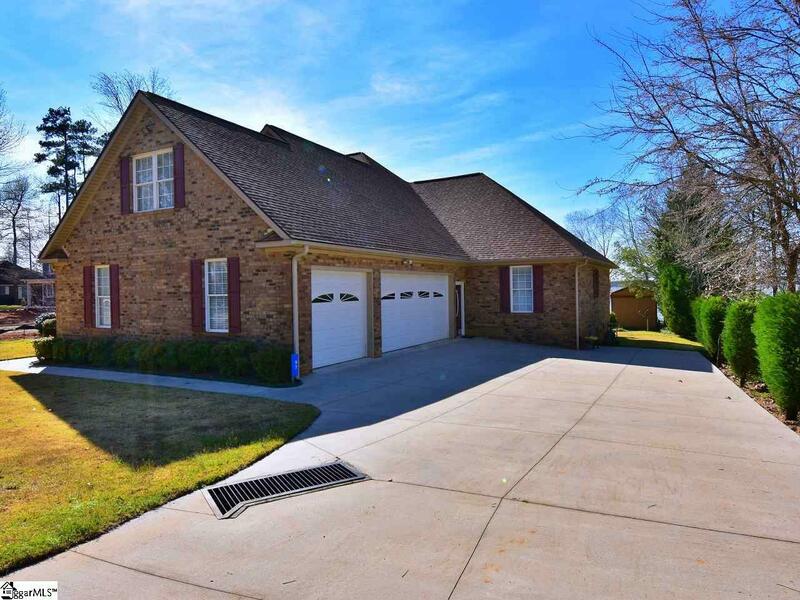 This 2007 custom built, 1 level, all brick ranch home with large bonus room upstairs, is a must see. 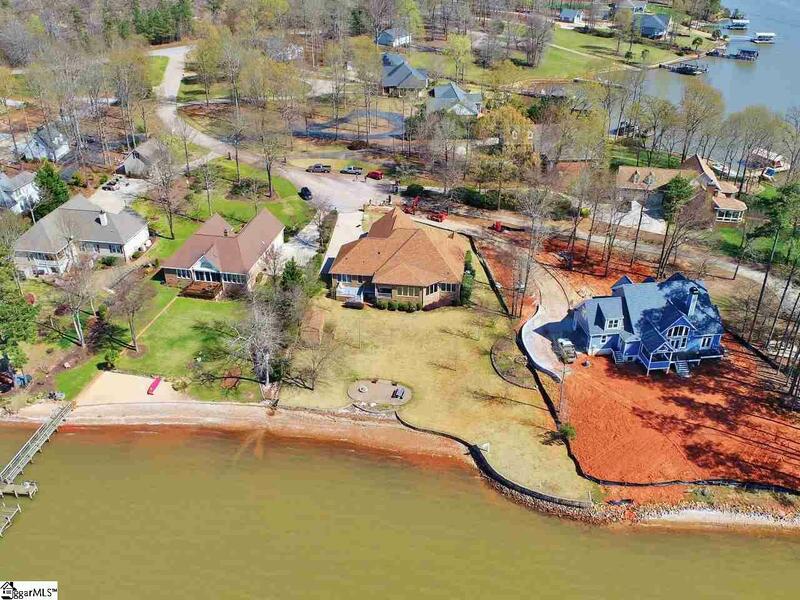 Located on .63 acre, this home sits on deep water with incredible views and is ready for a dock with utilities already nearby. Outside stroll to the lake to enjoy the view next to the jetted gas firepit. The shoreline of the property has been outfitted with a beautiful retaining wall to maintain the integrity of the property. The home has been carefully planned and maintained, as well as specifically designed to save energy with two separate hot water heaters and by splitting the HVAC zones for each half of the home. The bonus room is also controlled independently with heat and air. Custom kitchen, bath, office and laundry cabinetry abound. The oversized laundry room includes washer dryer, wine cooler and built in icemaker. Enjoy the large kitchen which features that include upgraded granite counter tops, a custom island, eat in bar and dining area. Note the warming drawer, and a Dacor Dual Fuel stainless steel gas range with electric oven. All bedrooms are on the main level of the home with view of the lake and with a tray ceiling in the master that leads into the master bath with a custom shower, towel warming drawer and jetted garden tub with color lights. Walk down the wide halls to a bright study that includes custom built in bookshelves. Note the tray ceilings in the formal dining room and large living room with a ventless gas log fireplace. Enjoy the lake view inside from a spacious tiled sunroom with solar tinted windows and custom solar shades immediately off the living room and master bedroom. Open the door, with the hidden screen, which leads to the covered porch. Walk the catwalk to an open porch. This custom home is unique in that it has a separate room for exercise, hobby, or another office. Upstairs find a huge bonus room with a half bath and easy access to a walk-in attic storage. 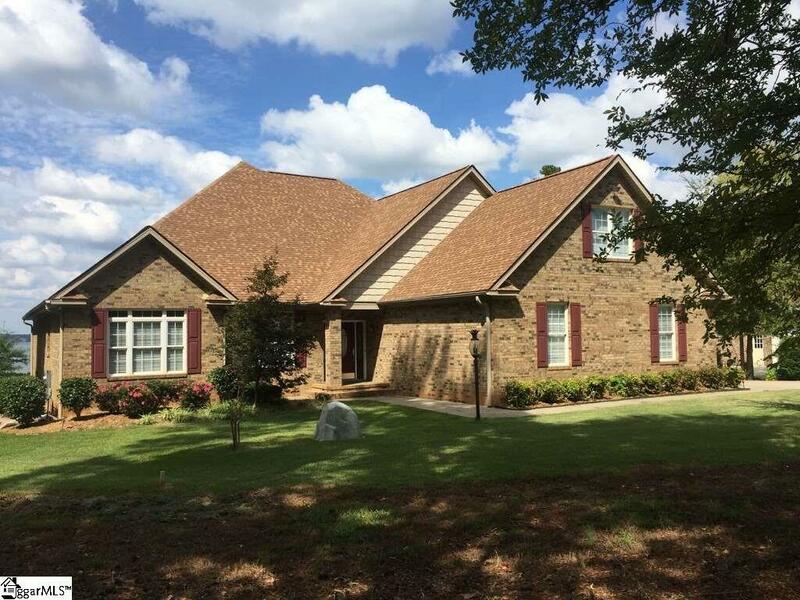 This brick home has central vacuum and yard irrigation to make maintenance a snap. The oversized 3-car garage includes a unique space for a workshop, a storage closet and a deep sink with cabinet. In addition to the garage there is an outdoor electrically equipped building for lawn mower, golf cart and plenty of storage for all the fun lake needs. Easy drive to Greenwood, Clinton, Newberry or Laurens. 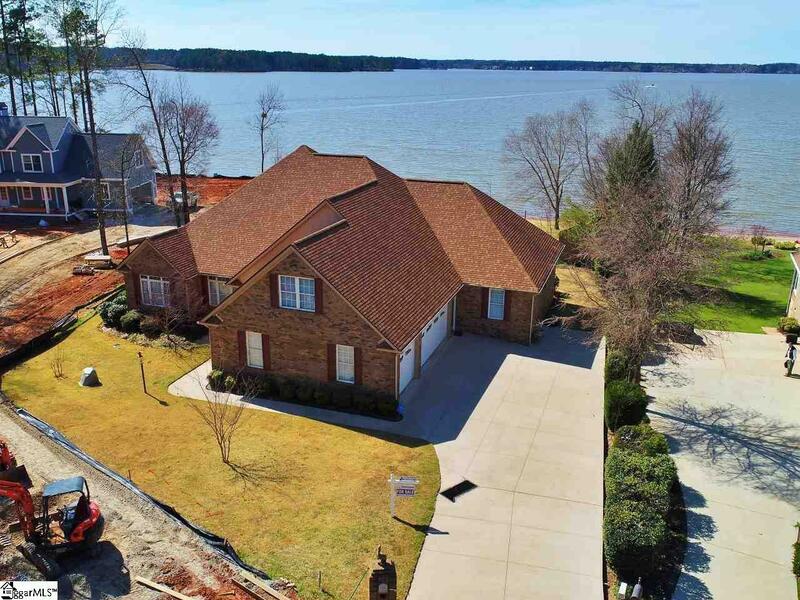 Come see this custom home in Summerset Bay Subdivision on Lake Greenwood and enjoy life at its finest.